Congratulations, you�re a manager! Of course you have expertise in the field you�re managing, but what about everything else? There�s so much more to know! Whether you�re a new or seasoned manager, your responsibilities can become overwhelming at times. There are days and new situations that will leave you feeling vulnerable. You don�t know where to start or even what to ask! 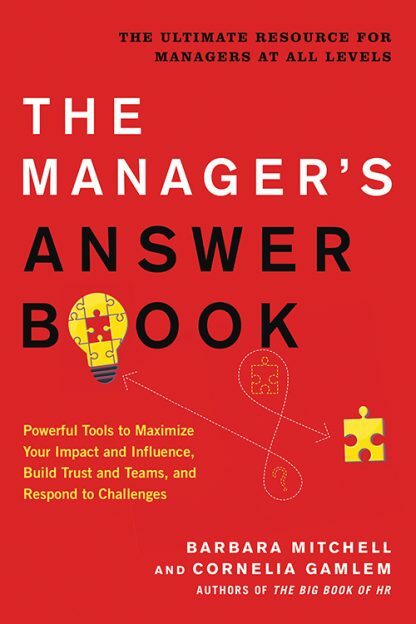 The Manager�s Answer Book will help any manager stay informed and avoid unknowingly tripping over a new situation. It�s a natural complement to The Big Book of HR.